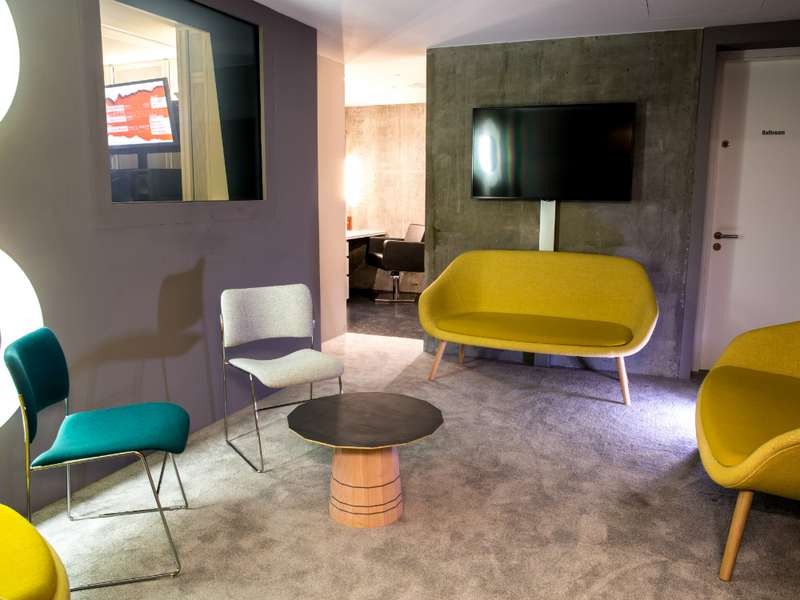 Video-sharing site YouTube has just unveiled its first creative hub in the UK – and Marie Claire went along for a sneak preview. 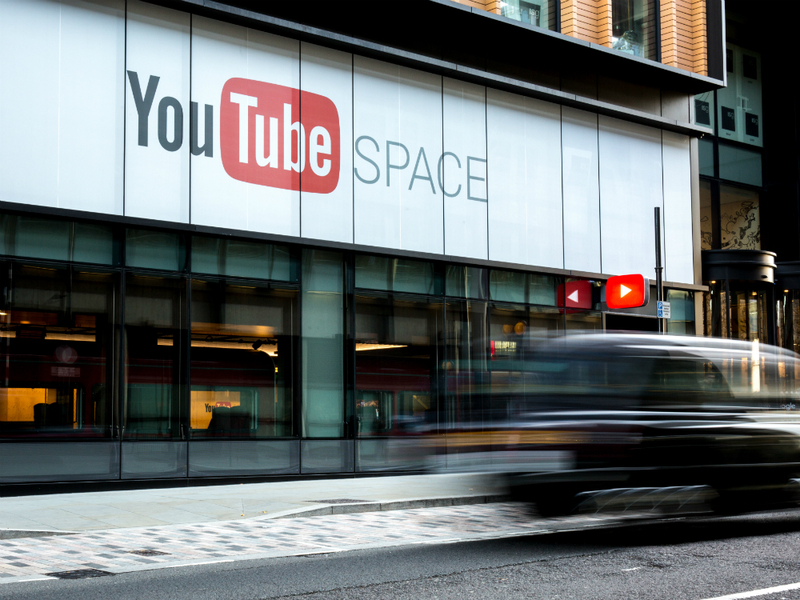 The 20,000 square ft ‘Space’ (as it has been called) is now YouTube’s biggest in Europe, located in the heart of London’s Kings Cross. The impressive new HQ is a nod to YouTube’s success stories (Zoella, Tanya Burr and Alfie Deyes to name a few), and is designed to nurture YouTube talent and give its creators the support and materials to follow suit, expanding their audiences and building worldwide brands (see Zoella’s multiple beauty lines and bestselling book series). 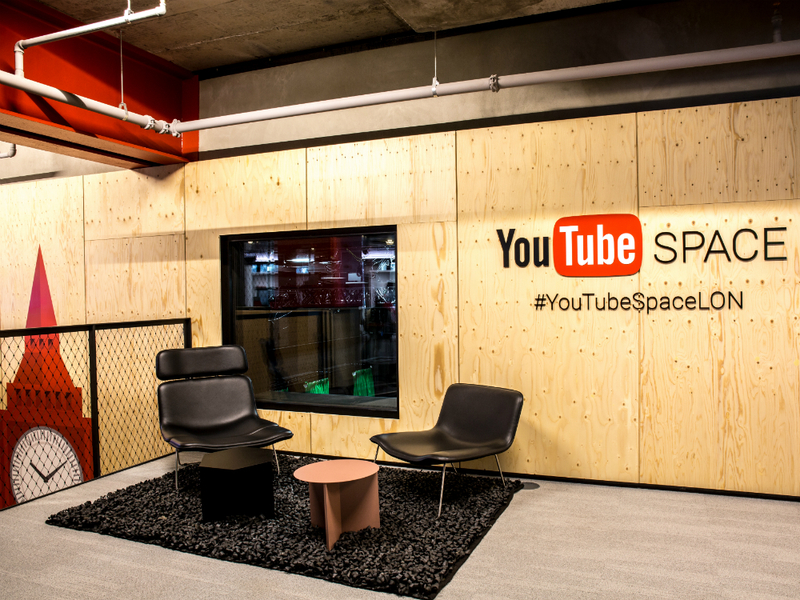 We visited the world-class space on Wednesday to see what’s next for YouTube and came away with office goals for life. The building is designed to give its creators free access to multiple stages, cinema-quality studios, a 150-seat cinema room and a green room with an attached hair and make up suite. And don’t even get us started on the equipment: state of the art everything – from 4K live streaming to virtual reality cameras. There’s even an adjoining shop, exclusively selling YouTuber merchandise (naturally). There’s a sleek ground floor cafe (and adjoining lecture theatre) offering real artisan coffee, Instagrammable juices and a tasty array of gourmet snacks, with seating options ranging from your standard tables and chairs to a built-in train carriage with tray tables and overhead bag shelves. The aim of the laid back LA-style space (we’re talking a chipboard and exposed plumbing aesthetic) is to encourage budding YouTubers to create and collaborate with each other. YouTubers can film, record and edit where they like, with top of the range lighting even installed in the cafe (just in case you want to vlog over breakfast). Sounds amazing right? And if you’re a well-established YouTuber, it is. But here’s the catch: access to this new facility is determined by the popularity and success of the ‘creator’ in question, sort of like a VIP lounge. Access to the building is based on a ranking system, with YouTubers split into five levels: Gold, Silver, Bronze, Opal and Graphite. Being a gold (1 million + subscribers) or silver (100,000-999,999 subscribers) level YouTuber entitles you to all of the benefits and the ability to book out the studio and edit suite for days on end each month. Bronze level YouTubers (10,000 to 99,000 subscribers) can book some studio and edit suite time, but for Opal YouTubers (1,000 to 9,999) and graphite YouTubers (under 1,000) you’ll have to make your peace with just using the space for free lectures.